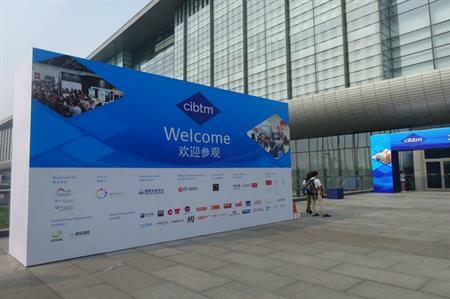 C&IT caught up with UK hosted buyers at IBTM China, held in Beijing's China National Convention Center from 5-6 August, to find out what they thought of the show and their event highlights. We've done events in Shanghai previously and I’ve made some great contacts over the two days of the show. I made a conscious effort when signing up to meet with exhibitors from China and Asia rather than European ones, as there are a few from outside Asia but you would be able to meet them at other events such as IBTM World. The show offered a great opportunity to connect with them face-to-face. While it is smaller than others in the IBTM portfolio, it was very busy over the two days and I found the majority of the presentations and my meetings of interest. This was my first time at the show and I was very impressed: most of my meetings were relevant and I learnt a lot from the destination presentations. The variety in terms of exhibitors was good and having never visited China before, I felt that a lot of different areas within the country were well covered. I was very impressed with the standard of accommodation, too – we were based at the Nuo Hotel. I have placed events in China on three occasions so far but this was my first time at the show and my first visit to China. It was much smaller than I expected. With my prior knowledge of the country, I felt that not all of the potential regions in China were as well represented as they could have been. Having said that, I found it to be a very positive experience; the hosted buyer programme was very well organised and the welcome reception and icebreaker session provided some good networking opportunities on both an informal and educational basis. This is my sixth time attending the show as a hosted buyer and my experience has improved every year. If you are doing business in China, it’s an invaluable networking opportunity and gives you the chance to meet face-to-face with venues and destinations. The quality and relevance of meetings this year have been the best I have experienced. If you are doing business in the country, then IBTM China is a must-attend event. It’s been a positive experience to see the event reduced from three days to two as my time has been better spent and my expectations were more than met. It really helped me to understand what options are available in China in terms of venues and destinations. The fam trip I participated in – a tour of the Summer Palace and an insight into traditional Chinese medicine – was very well organised and the networking opportunities were very good. There were only a handful of meetings that perhaps weren’t as relevant as they might have been and while I felt that language was a barrier at times, overall it was a very worthwhile experience.